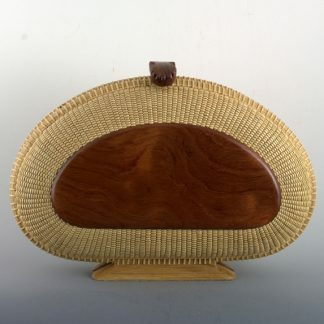 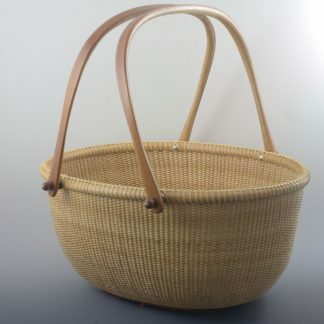 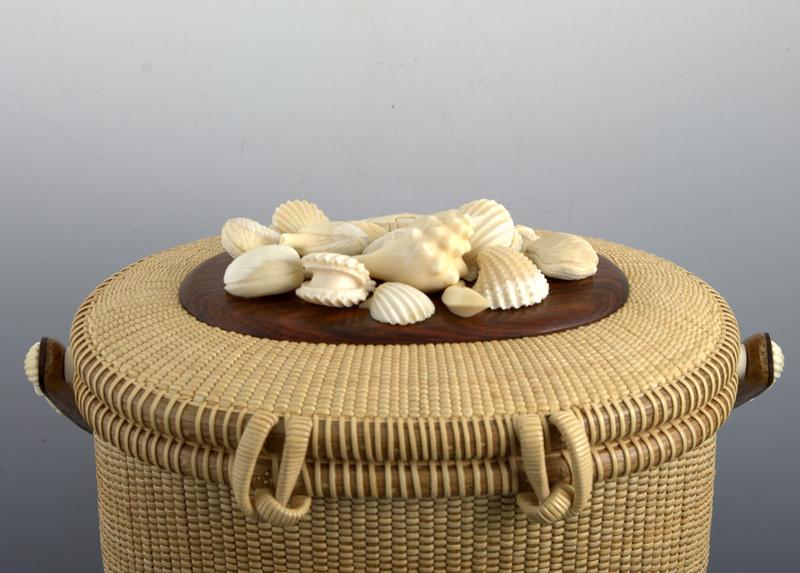 8 1/2″ Oval covered Nantucket Lightship Basket. 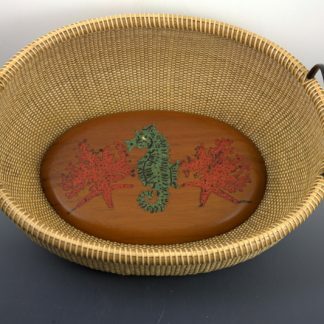 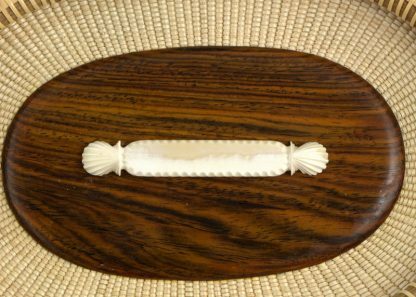 8 1/2″ oval Nantucket Lightship Basket with coca bola wood top, bottom and overlay on handle. 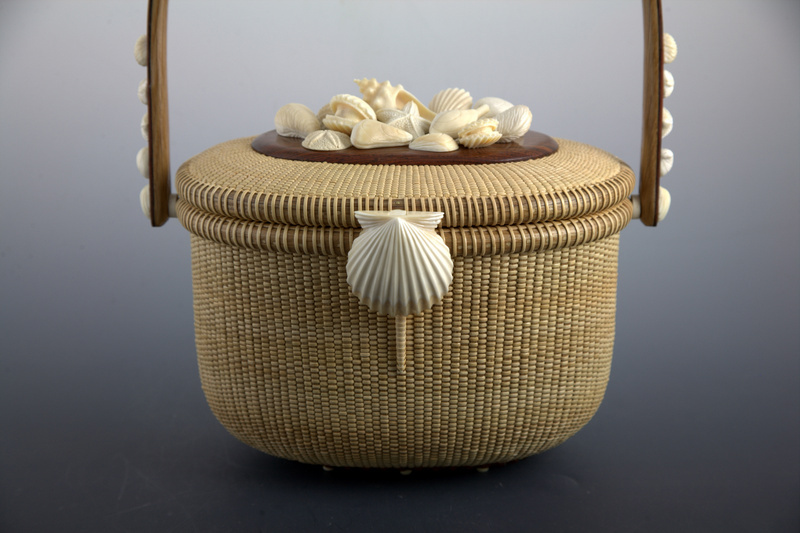 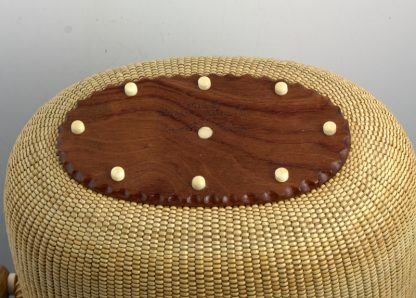 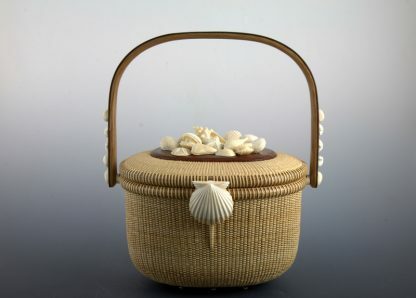 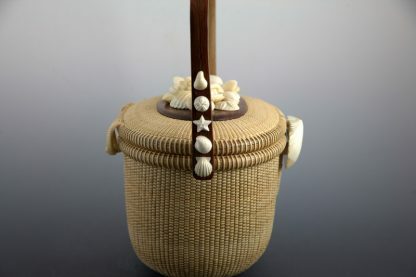 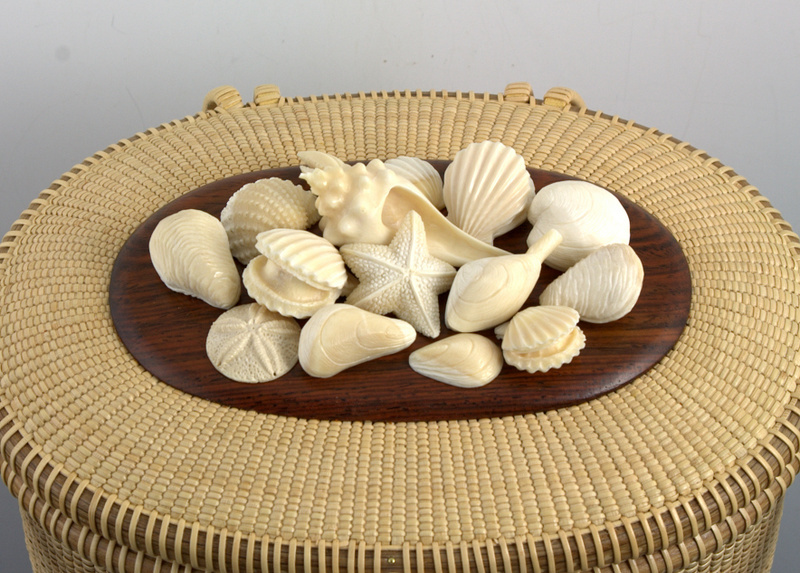 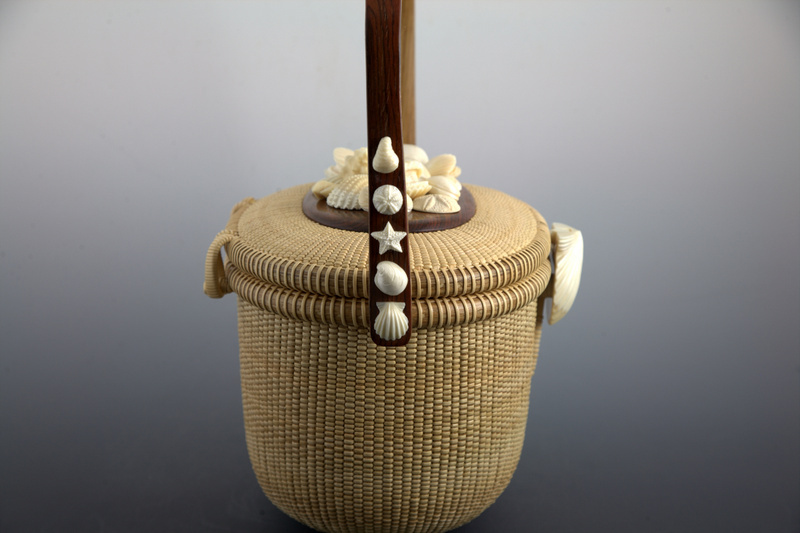 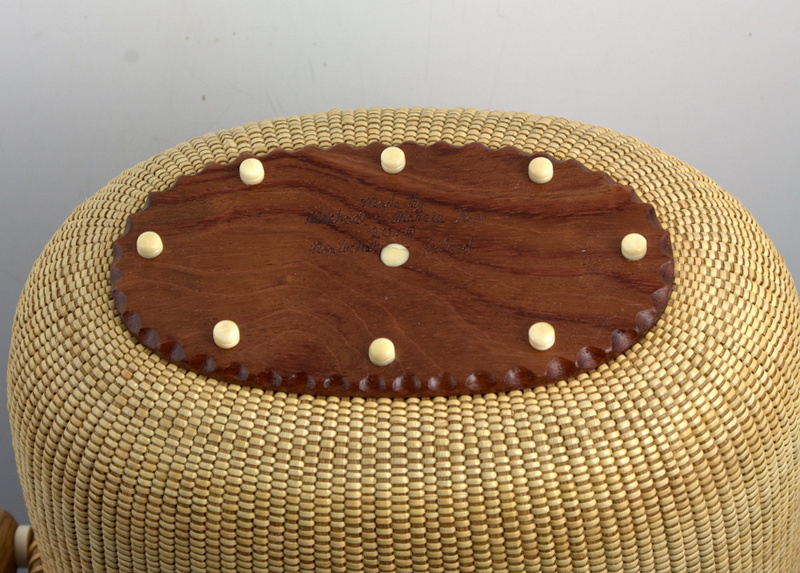 The basket has beautiful carved shells on top by Michael Kane, carved from whales tooth. 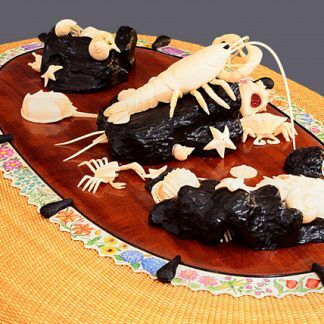 There are also whales tooth carved shells up the handle on both sides. 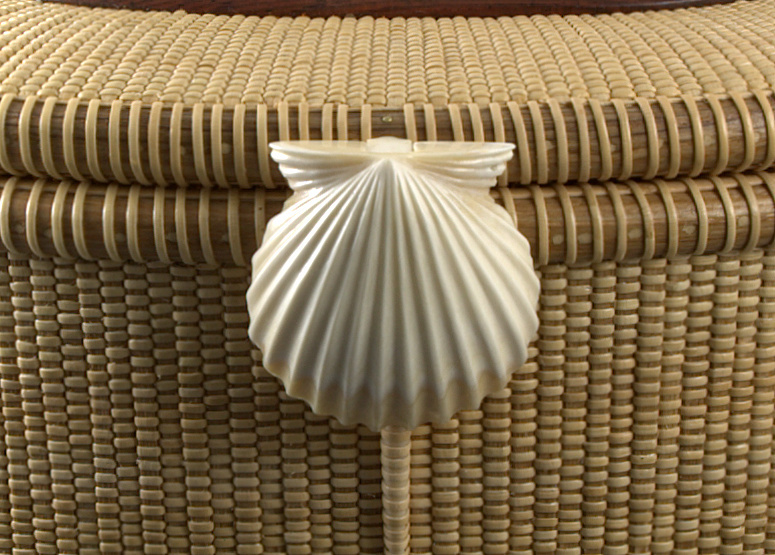 The magnetic clasp is a gorgeous whales tooth carved scallop shell to close the front. 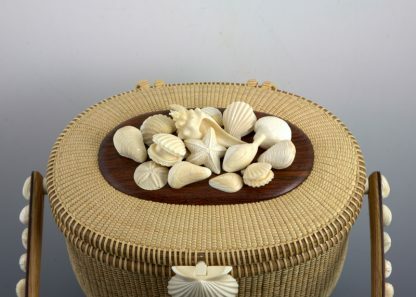 When you open the lid there is a whales tooth quarter board that your name can be added to. 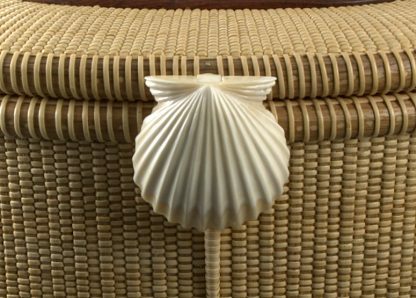 The penny in the bottom dates the year the basket was made.